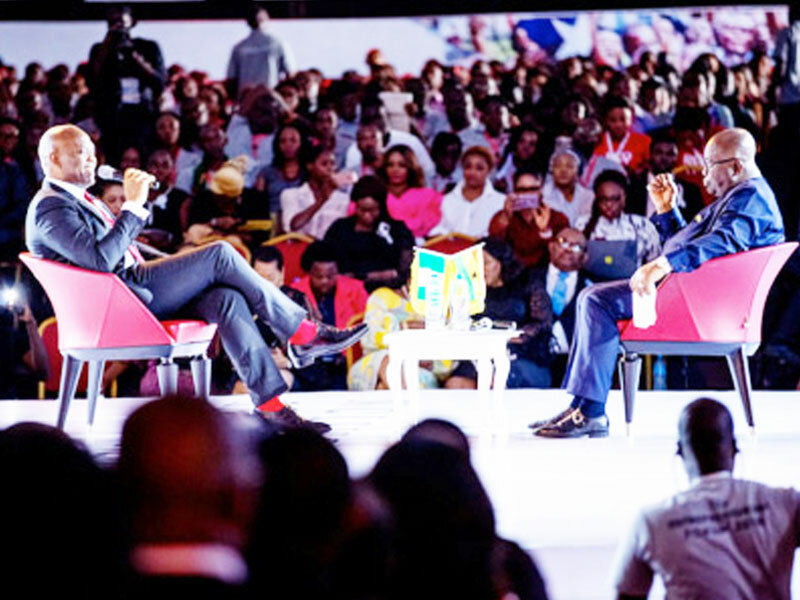 Home Business What Really Motivates Tony Elumelu to Lift African Entrepreneurs? What Really Motivates Tony Elumelu to Lift African Entrepreneurs? As one thought that the question had been asked and answered, and therefore rendered irrelevant, the growing passion for training young entrepreneurs continues to give life to it. In other words, what would make an individual commit to a $100 million programme over 10 years to identify, train, mentor, and fund 10,000 entrepreneurs to generate over 1,000,000 new jobs and contribute at least $10 billion in new annual revenues across Africa? So far, the programme has empowered 4,470 entrepreneurs with a total investment of $20 million; 4,000 funded directly by the foundation and 470 have been funded by partners. Just as some people expected him to grow weary over time, fresh applications are being received for the fifth year of the Tony Elumelu Foundation (TEF) Entrepreneurship Programme, which has empowered thousands of entrepreneurs, using a bespoke and robust selection, training and implementation process to create visible and sustainable impact across all 54 African countries. In four years, TEF has directly impacted 4,470 entrepreneurs, and the multiplier effect is showing in job creation, but most importantly in the recognition that Africa’s economic well-being could be driven by entrepreneurs, who are becoming the engine of the continent’s transformation. TEF said it received over 150,000 applications in 2017 alone, up from 20,000 applications in 2015. Akufo-Addo did not have to wait long for a response to his question. “Two things,” Elumelu said. “One is my own story, my own life. I’m trying to democratise the luck that I had. So ultimately, what becomes important is not who you know or where you come from or whose child you are, but the ideas that you have. He continued: “I am always quick to say that we don’t do this because we have so much. Actually, we prioritise and make sacrifices for this to happen. It gives us significant joy to see forums like this happen because poverty anywhere is a threat to all of us everywhere and the more prosperity, we have around us the better for everyone. The subject put them on the same page as the spotlight they shared. Building his argument block-by-block, Akufo-Addo made a strong case for African entrepreneurs. “First, we live on the richest continent in the world and yet our people are the poorest. That is a contradiction that has to be resolved,” he said. “The second, look at the history of other countries in other continents. It is clear that strong market economies provide the best framework for development, prosperity and wealth. “We are told that in 40 countries of the continent, more than 50 per cent of the population is aged below 35. It means that all these young people are the African people. He also advocated good governance and strong economies with focus of small-scale industries and capacity building in Africa. President Uhuru Kenyatta, who also attended the forum delivered a goodwill message to Elumelu and the entrepreneurs at the forum. He commended the work of the foundation and its founder, Elumelu, affirming his support to the growth of entrepreneurship in Africa. He encouraged the young entrepreneurs to seize opportunities and to remember that nothing is impossible. It was not all rhetoric and optics as the young entrepreneurs back their enthusiasm with testimonials. Emmanuel Adiku from Ghana: ”The seed capital actually helped me to start E-Africa Solutions. The toolkits have also been very helpful in learning from other businesses and also how to guide my business for success learning from the Tony Elumelu experiences. Emmanuel Ntawuyirusha, a manufacturer in Rwanda: “Before the trainings and seed capital from TEF, we had the smallest production capacity (9kg per day). We had a few markets (two stable markets). We were not known; we were only known in one sector (Busogo sector of Musanze district, north of Rwandan). Equipment value was about $50 and was inefficient. The building capacity and leadership were low. We didn’t have a trading licence. Since receiving the seed capital in 2016, total revenue is now $1290,500.00, we are affecting the lives of children that were victims of malnutrition. Farmers are aware of the yield of our low material (carrots, beetroot, soybean, maize, and sorghum), because they market their yields. Four years on, a major development in the programme is the birthing of TEFConnect, a digital networking platform connecting African entrepreneurs, mentors and investors, on which the Tony Elumelu Foundation Entrepreneurship Programme is also hosted. According to TEF, its main objective is to promote intra-African trade and facilitate business beyond physical borders. Also important are its features that will boost the businesses of our entrepreneurs, help them secure funding and business partnerships, as well as create a community for the entrepreneurial ecosystem to thrive. Among its notable features are: Startup Toolkit – an intensive business training that has been likened to an MBA Community and Network Pages – features that prompt African entrepreneurs, mentors and investors to build their profiles and engage with others for visibility; a library of curated business content. On the future of the programme, Elumelu said recently, “When I left UBA as Chief Executive Officer (CEO) in 2010 to pursue other interests, I made a vow that through the Tony Elumelu Foundation, I would “institutionalise” luck and democratise access to opportunities for young Africans. I promised to leverage the success I have enjoyed, to spread luck and hope, provide opportunities and to empower the next generation of African entrepreneurs to succeed. Without luck in my early career, I would not be the man that I am today.